Large Gro-Beast Alligator, Just Add Water: Educational Innovations, Inc. These growing alligators start at about 4 inches long (approx 10 cm) and grow to about 10 inches (approx. 25 cm) long when placed in water! 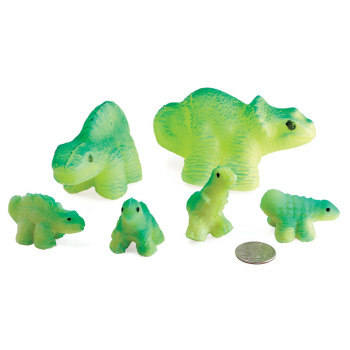 These water absorbing polymers are great for a class measuring or graphing project or make a super demonstration. Growth is visible within 24 hours, full size in about a week! For an elementary literature connection, see Zack's Alligator, Item BK-200. Color and style may vary. I use these grow gators every year with pre-service elementary teachers. The excitement they generate as students design their own experiments is fun to watch. 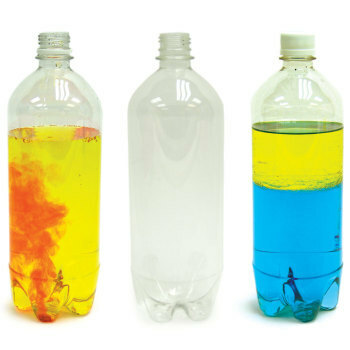 This helps future teachers see how easily experimentation can be added to elementary science curricula. Owner Response: Thank you for your feedback. I'm sorry the product did not meet your needs. Please contact our customer service department and we will provide a full refund. I love that these alligators are reusable! I use them with the book, "Zack's Alligator". We use graph paper to measure the alligators. This alligator is a great addition to a primary classroom! I used it as a group activity for measurement and we discussed what made it grow. After the alligator had grown to it's full size we observed it decreasing in size and measured that too. Then it was put in the classroom science center for students to use in small groups or individually to explore further. The alligator can withstand a couple of years of this type of investigation before it has to be replaced. There are several literature connections that can be make with books such as Zack's Alligator and other books about reptiles. Used with my kids at home to make daily observations and measurements. Growth is very dramatic! 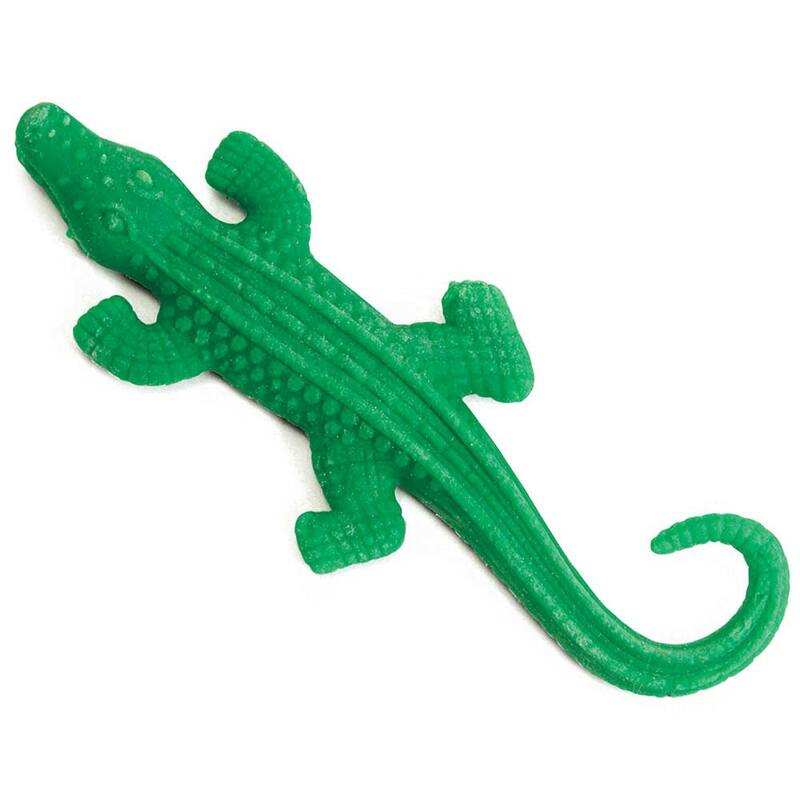 I use these alligators every year for different lessons. 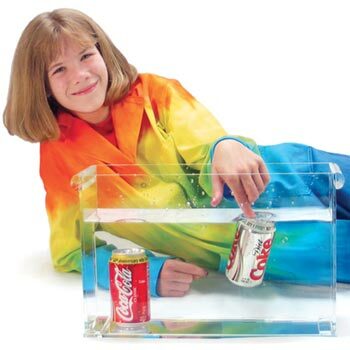 Lab techniques, metric measurement, density, graphing practice, polymers and hydrogen bonding, and just plain fun. I have used them in high school chemistry and middle school classes. All students love them! 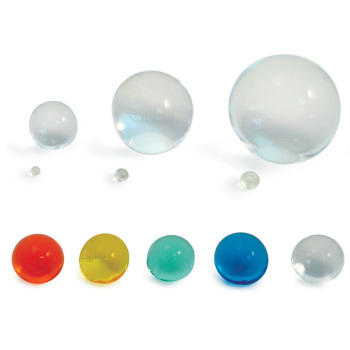 Great for matter unit teaching properties and great to pair with math measurement standards. Chomp joined our class and the kids loved him and his family. We grew a number of these multiple times. Watching them dry out and rehydrating over the weeks of school turning to a fun game beyond the planned class. My middle school students love these and they are reusable from year to year.I have them practice their measuring and weighing skills and then graph their results. my middle school students love these and they are reusable from year to year.I have them practice their measuring and weighing skills and then graph thier results. I bought these alligators about 4 years ago to use during my Cellular Transport unit. I teach high school biology and my students have a very difficult time understanding osmosis. I start by reading the book Zack's Alligator to my classes. We then weigh this little alligator and record data on a data chart. Each day a different student weighs their class's gator (teaches use of a balance for the first time). They record all data and at the end, they graph the percent change in mass. Excellent for showing hypotonicity. Then we let the gator evaporate and repeat the same process demonstrating hypertonicity. My students really get it after this activity. I've used the same gators for about 4 years and they still work great!! I use these to have my 3rd graders make predictions, fill out data tables and practice measurement skills. Students can conduct simple tests using the Growing Alligators to better understand the rate at which the polymers absorb or evaporate water. Information gathered can be used as evidence to support or refute student ideas about hydrophilic (water-loving) materials.